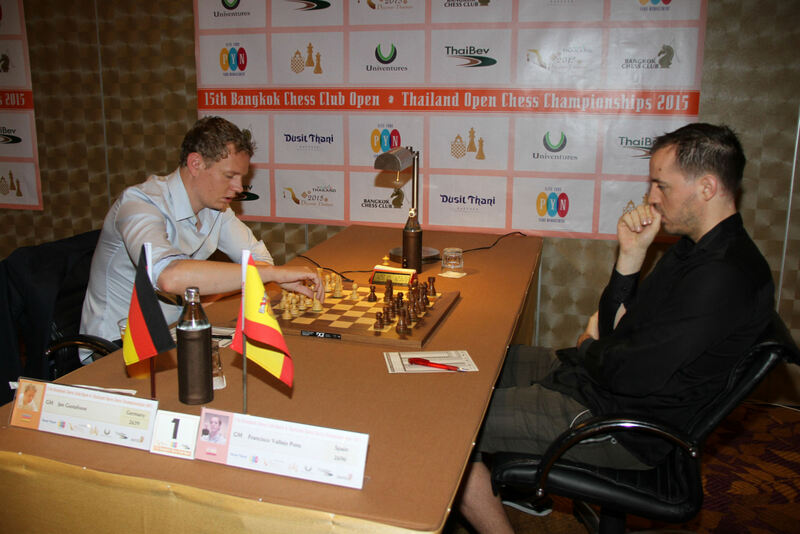 Five Grandmasters have moved to the front of the Thai Open Chess Championship as the tournament, being played at the Dusit Thani Resport in Pattaya, passes the halfway mark. Two of the overnight leaders, Jan Gustafsson and Paco Vallejo, played out a speedy, friendly draw to maintain a share of the lead, and were soon joined at the head of the field on 4.5/5 by Chinese top seed Wang Hao, now fully recovered from illness and showing top form in defeating giant-killer Oliver Barbosa. 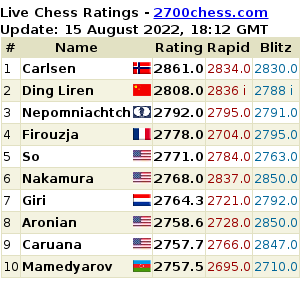 While these players make up three of the four top seeds, the fourth member of the leading pack was a surprise; the Philippines’ Oliver Dimakiling, seeded only 24th at the start of the tournament, defeated higher rated Indian International Master Diptayan Ghosh to take a share of the lead. One more player reached the tie at the top, Hungary’s Jozsef Horvath, though only after a titanic 75 move battle against Finland’s Tapani Sammalvuo. The fifth round was also a good one for veterans Nigel Short and Eugene Torre, who both stayed within half a point of the leaders. However Thai players struggled to stay in touch with the race for first place, with Warot Kananub and Uaychai Kongsee both losing and being joined on three points by Wisuwat Teerapabpaisit. These three players will need to win all their remaining four games if they are to hope for a podium finish. 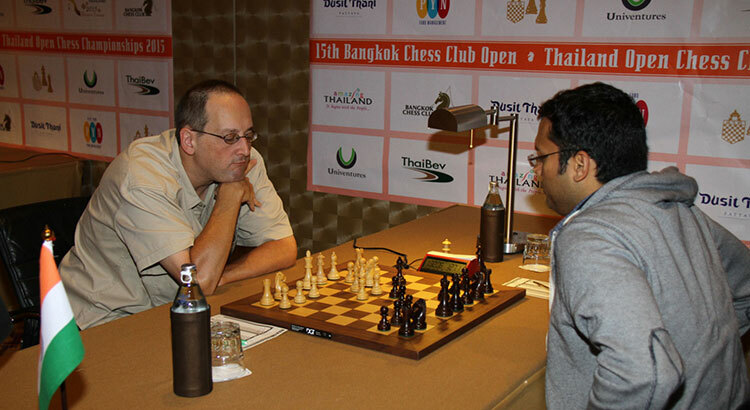 The Thai Open, which continues until April 19, features 299 players from 42 countries in two divisions, with a first prize of 100,000 Baht in the top section. 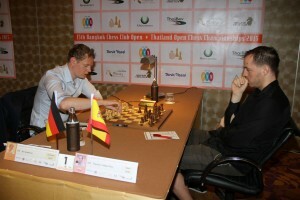 The Open, is the first of two major chess events to be held this year at the Dusit Thani Resort in Pattaya. Next month Pattaya will host the World Schools Individual Championship. The World Schools Championship, complements the related World Youth Championships with divisions from Under 17 to Under 7. Already almost 500 children have entered this competition.